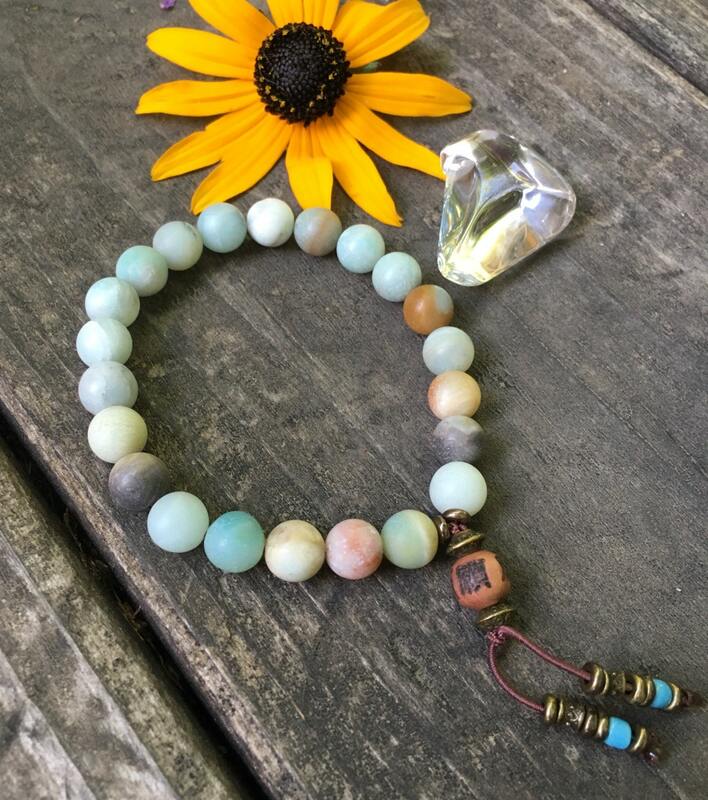 The Abundance Mala Bracelet features beautiful AA grade frosted Amazonite gemstones along with a cedarwood ancient prayer bead to improve communication and attract luck and abundance of all kinds. 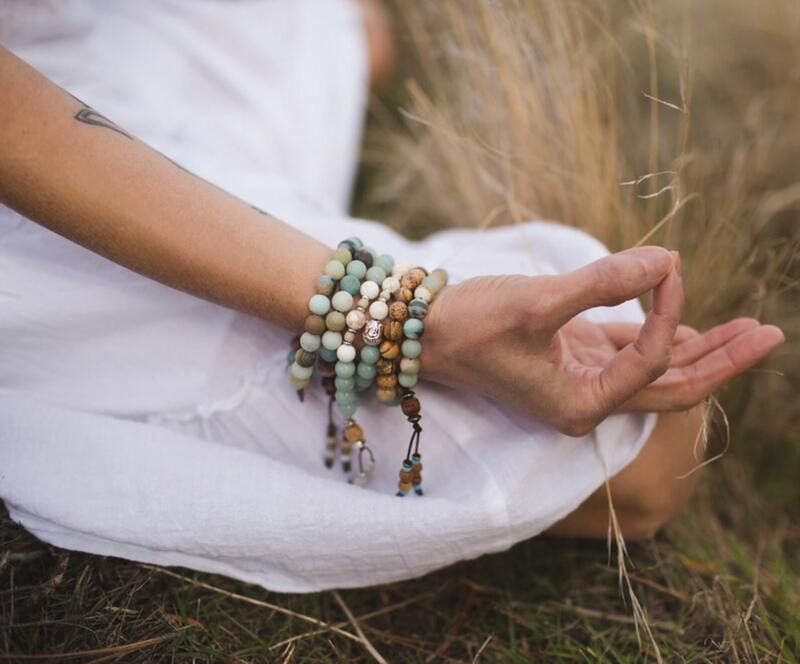 *Third photo features the Abundance Bracelet, Sattva Bracelet, Abundance Double Bracelet and Dharma Double Bracelet. 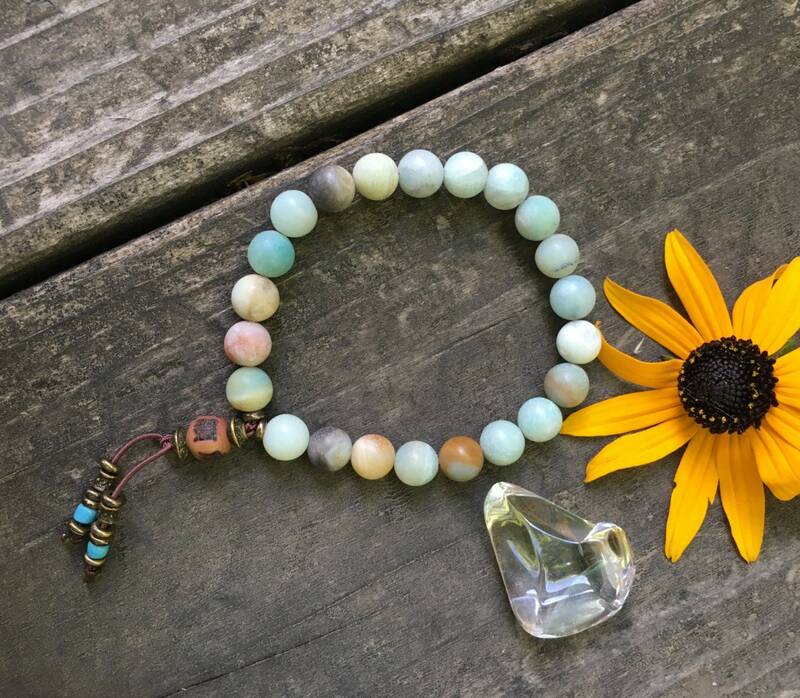 Last photo features the entire Abundance collection. Each sold separately. ABSOLUTELY GORGEOUS!!! 100% SATISFIED, LOVE THE COLORS AND QUALITY. 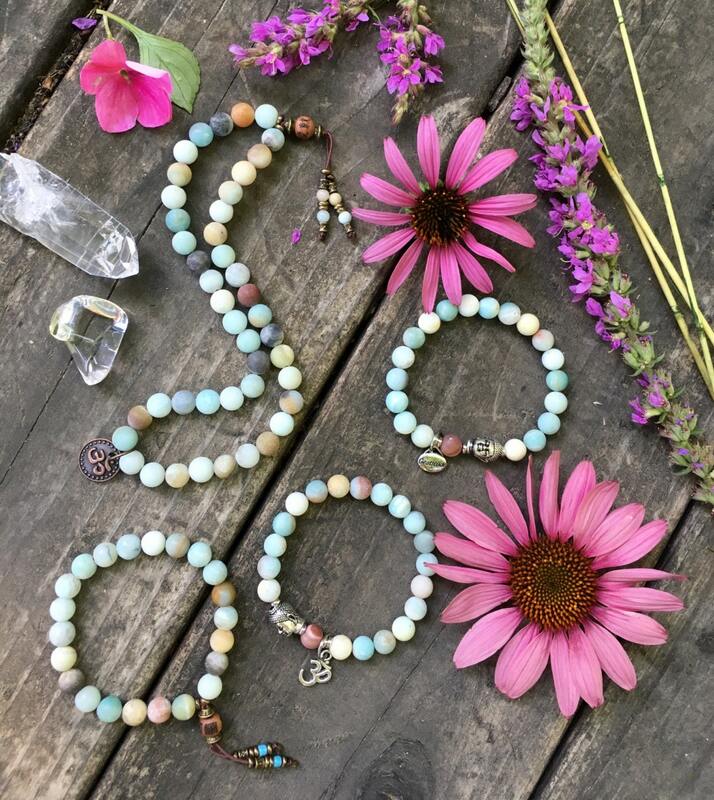 I own quite a few bracelets from this shop and I know I will be ordering more. Love the quality, beauty and energy. Amazing shop owner! This is very beautiful and well put together. Thank you very much.